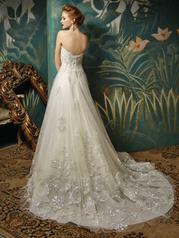 Soft, delicate, and romantic -- all the makings of a perfect bridal look are in this full-length, strapless A-line gown. 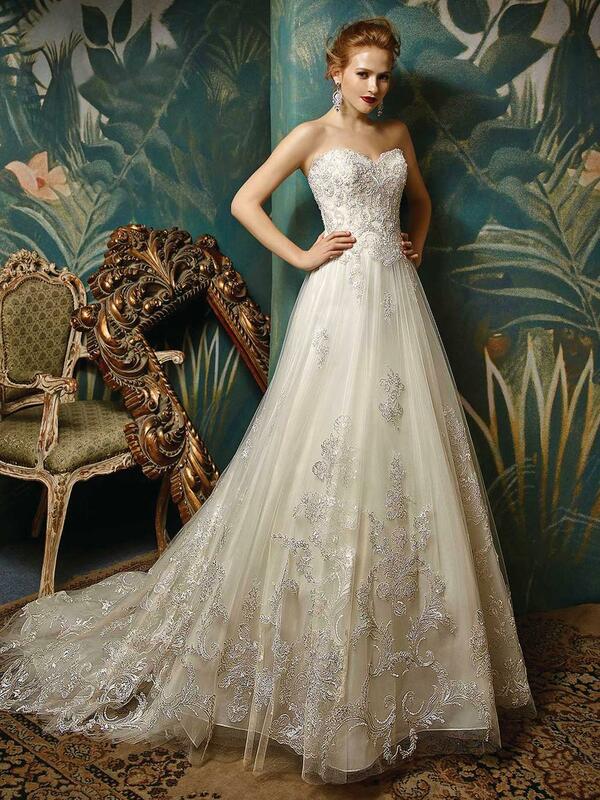 A classic sweetheart neckline is gorgeous with beaded embroidered lace and an ethereal tulle skirt. An invisible back zipper completes the lovely look.